WooCommerce DYMO Print comes with 4 sample labels which you can install from the Debug & Help tab. However you can add your own labels which you have created with the DYMO Label Software. 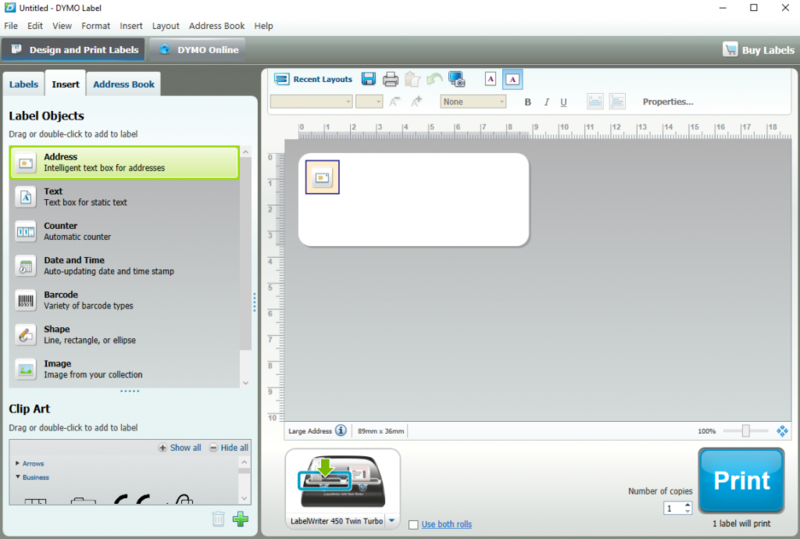 On this page you’ll find instructions how to create your own label. WooCommerce DYMO Print does not recognize the label size and type which is being used in your DYMO LabelWriter. Therefore you need to check the label size you want to use first. In our examples we use a standard Large Addres label (size 36mm x 89mm – SKU 99012) which comes with most LabelWriters when you buy it. 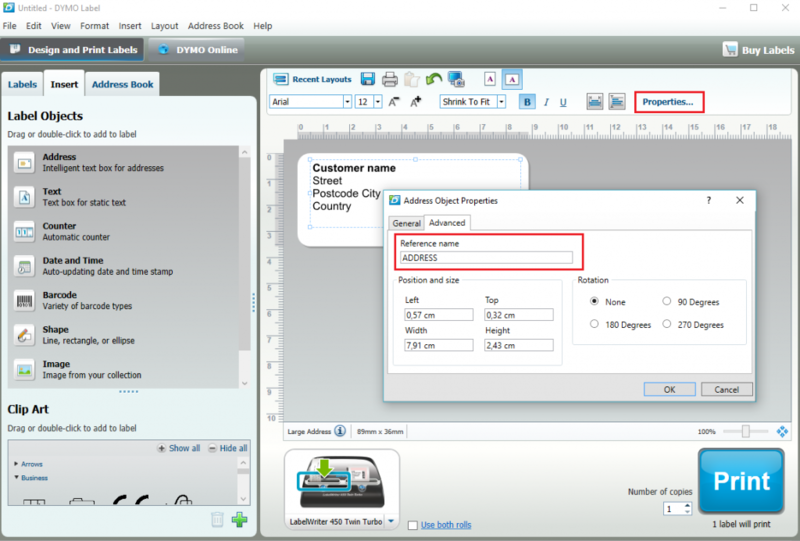 If you use another label size you need to select another label in the DYMO Label Software. However you can add every object you like. For example: add an image object to print your logo on every label. Go to the Advanced tab and enter a Reference name for this object. The reference name is shown in the plugin. 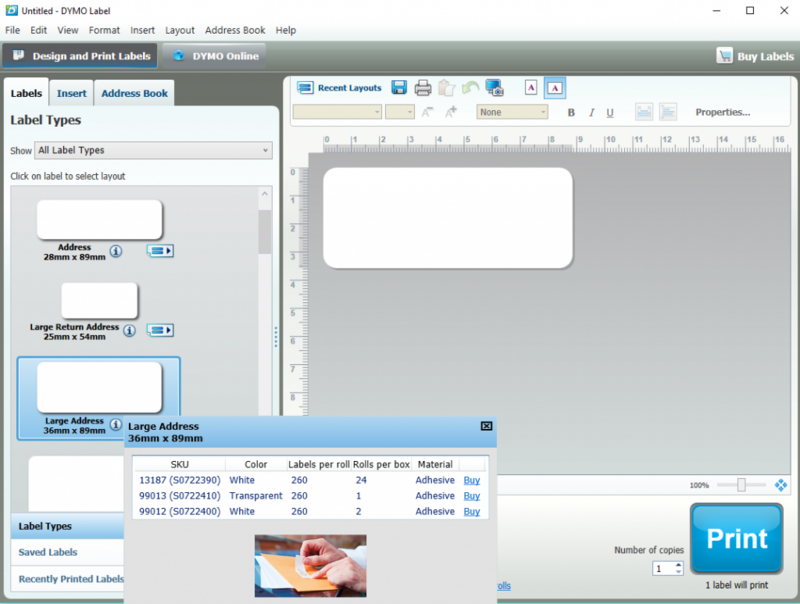 Save your label in the DYMO Label Software. The label will be saved as a .label file. Give it a name which you can remember. The filename will be shown inside the plugin. 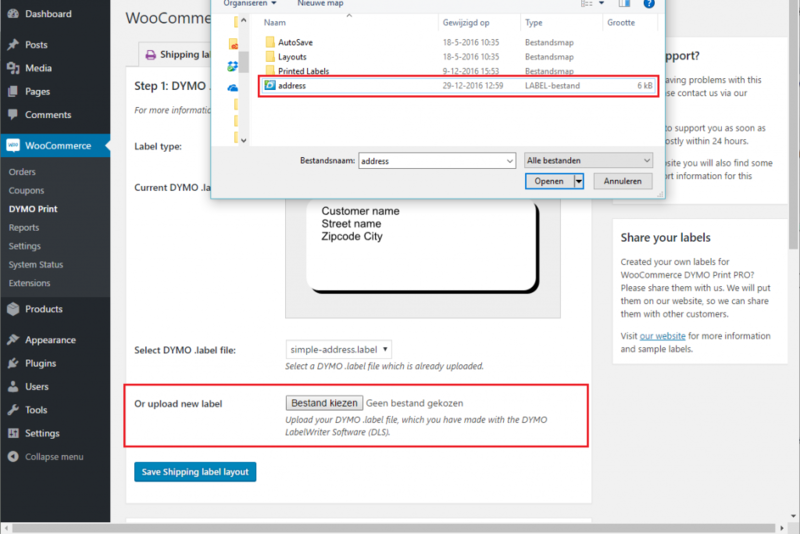 Upload the new created DYMO .label file in WooCommerce DYMO Print. Now you’ve created and uploaded a new label you can assign WooCommerce data to each label object. To do this read step-by-step instructions and descriptions of every option.